Ten Years‘ Time’s dynamic and diverse team in London come from across the private, public and non-profit sectors. Feel free to browse some of our bios and be in touch! Jake is the CEO and Founder of Ten Years’ Time. He launched the firm following a career in New York with the foundation arm of the social-purpose business Peaceworks. Jake speaks regularly on panels and at conferences on the future of philanthropy and innovative grant-making. In 2014, he was voted one of London’s ‘Most Influential People’, has a certificate in Global Health from Imperial College, London and worked in 2015 and 2016 as an e-tutor for the University of Cambridge on their Masters in Sustainability. Jake previously co-founded the award-winning social enterprise, Future First, which builds alumni networks for over 10% of UK state schools and, thanks to support from the Open Society Foundations, is taking its model to partners in the US, Kenya, Sierra Leone, Australia, New Zealand, Pakistan and Rwanda. In 2018 Jake co-founded the 2027 Coalition to support frontline workers from diverse, working-class communities into jobs and trustee roles in trusts and foundations. He spends most his free time trying to build a movement of philanthropists prepared to fight climate change. If I had £500k... I would invest in re-training climate scientists as climate communicators in order to help them better translate their messages into individual lives and policy decisions. How I joined Ten Years’ Time: I was a co-founder of the parent business, The Social Investment Consultancy. Rather than take a loan from the bank, I made money playing poker to float the organisation during its first year before quitting cards once we got our first full-time employee. What gets me up in the morning: My two year old son, Stan. He shouts ‘is anybody there?’ at around six each morning. Ask me about: Why philanthropy is broken and how to mend it, Pot Limit Omaha and why your lawyer, accountant and banker may not be on your side if you are trying to do good in the world. Pavlina is a Climate Change Researcher at Ten Years’ Time, where she supports our project work related to climate change mitigation and biodiversity preservation. 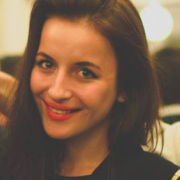 Pavlina graduated from UCL with a degree in Law, and also holds an LLM in Public International Law from the LSE, where she was awarded the Lauterpacht/Higgins Prize for best overall result in public international law. Her thesis focused on exploring different international law approaches to protecting the environment, from human rights, to the common heritage of mankind principle and the rights of nature. 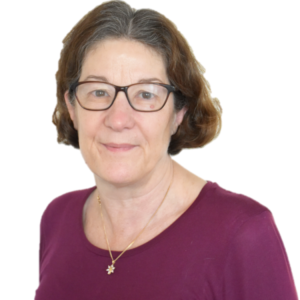 Pavlina previously worked as Programme Manager at Organise, a social enterprise dedicated to strengthening and protecting workers’ rights in the UK. Prior to that, she was the COO and co-founder of Ally, a social enterprise using artificially intelligent chatbots to provide on-demand legal support to individuals at risk of eviction and homelessness, free at the point of access. If I had £500,000... I would use it to support a grassroots, internationalist Green New Deal movement in the UK. I believe that environmental justice is inextricably linked to social justice, and that any viable long-term climate solution must include a just transition for ordinary people and workers at its core. How I joined Ten Years‘ Time: I heard about it through the team at Year Here, a social leadership programme for professionals to test and build responses to inequality in London. I was a Year Here Fellow in 2017, and we all stay in touch and have our own jobs board to share cool opportunities - this role at Ten Years’ Time came up and I thought it sounded really exciting! What gets me up in the morning: People I love, sunny days in the springtime, and the hope for a better future. Ask me about: How we can fix socio-economic inequality, how to be funny online, and fun facts about nature. Bami is a researcher for Ten Years’ Time, where she consults on Ten Years’ Time client activities and supports Ten Years’ Time campaigns. Bami previously spent two and half years on the Police Now Graduate scheme. On this scheme she worked as a warranted Police officer for the Metropolitan Police, where she served deprived inner-city communities. While in the Police she had experience in multiple departments such as the Gangs’ unit, Serious Sexual Offences unit and Counter Terrorism. Most recently, Bami has worked as a caseworker for the Aspire Higher programme. A programme designed to provide exit routes and strategies for young people in pupil referral units, who are involved in and/or affiliated with gangs. Bami graduated from the University of Leicester with a degree in Criminology. While studying she volunteered for a year at FOCUS charity, a charity aimed at developing leadership skills in vulnerable and underprivileged children. If I had £500,000…I’d use it to fund effective training for counselling services within schools, from a primary school age. Despite the amount of mental health awareness there is, many young people do not get access to this, unless they are referred to a mental health team. I believe children should have access to counselling from a young age, to expose them to a culture of sharing their issues with others. This is a preventative tool especially for children at risk of mental health problems in later life. How I joined Ten Years’ Time: I was actively looking for research roles within the charity sector, but I found that I wasn’t very happy with the roles I was applying for. When I saw the job advert for Ten Years’ Time, I knew it was a unique opportunity that I had to apply for! Eli is a Researcher at Ten Years’ Time, where he works with the wider team researching social change issues in relation to addressing systemic challenges in society. Eli also supports on Ten Years’ Time works to connect a new generation of philanthropists to the communities they wish to serve. 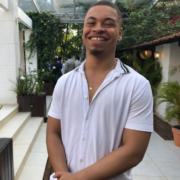 Eli has spent time working in international LGBTQ+ rights, previously running the business engagement department at the Bisi Alimi Foundation and as a Policy and Research Intern at the LGBT Foundation. He also has experience as a researcher in an MP’s constituency office and has worked in policy and public affairs. 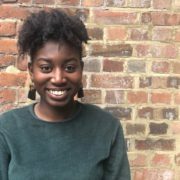 Eli currently volunteers in the Engagement and Communications team of the London based charity Memorial 2007, which campaigns to remember victims of the transatlantic slave trade and their descendants, erecting the first national memorial as a point for reflection and education. 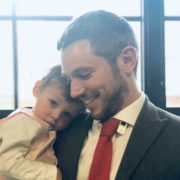 Eli studied an undergraduate degree in Politics and Hispanic Studies at the University of Sheffield and was a awarded a distinction in his MSc in Politics of Conflict, Rights and Justice from SOAS. If I had £500,000… I would use it to invest in projects which address the failures of the British education system to educate on the lived experiences of many communities which make the UK their home, focusing on the history curriculum. I see the way in which history is taught at present as marginalising the histories of many people in the UK, whilst failing to confront racially charged nationalist narratives. I believe that through addressing these flaws young people will gain an understanding of global history beyond a Eurocentric vision, establishing an awareness of the enduring legacy of perceived ‘things of the past’, such as colonialism. Such projects would have the effect of demonstrating the interconnected nature of all of our histories and would positively impact intercultural dialogue, establishing a more inclusive society for all. How I joined Ten Years’ Time: I was working in policy and public affairs but saw little positive impact in the work I conducted in terms of addressing the inequalities of our society. I became disillusioned that I would be unable to find a work place where my passion to expose and dismantle structural inequality in the UK would be celebrated and then I found Ten Years’ Time! What gets me up in the morning: A cup of coffee followed by a passionate sing along in the shower to my favourite Jamaican dancehall hits. Ask me about: Collective remembering, transitional justice, Manchester and why salted popcorn is better than sweet popcorn. Sally is Finance Manager of Ten Years’ Time and has worked as an accountant in the charity sector for over ten years. Prior to Ten Years’ Time she worked for Women Living Under Muslim Laws, The Foundling Museum and Parenting UK. She is a Member of the Institute of Chartered Accountants and started her career at KPMG in 1977. She currently works for Ten Years’ Time on a part-time basis. If I had £500,000… I would use it to buy a woodland to preserve an endangered landscape and the flora and fauna within it. 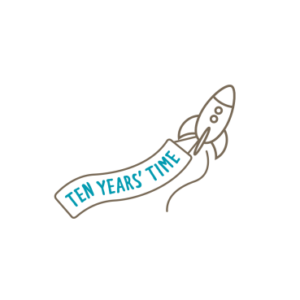 How I joined Ten Years’ Time: I was already working for the Social Investment Consultancy (the parent company of Ten Years’ Time) and became involved that way. What gets me up in the morning: A cup of tea and or a sunny day..